Congratulations on being chosen to receive a donation through the Hannaford Helps Reusable Bag Program! These Marketing Toolkits include email templates, press release drafts, social media posts, images of the bag and more to help you get the word out to your supporters. 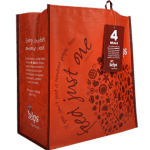 I've Been Selected for the Community Bag Program! This toolkit is for Civic, Health & Wellness, Education, Veterans/Military non-profits who have been selected as a monthly benefiting non-profit by store leadership. This toolkit equips you with everything you need to get the word out during your selected month. 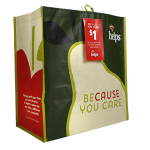 I've Been Selected for the Fight Hunger Bag Program! This toolkit is for Hunger Relief non-profits who have been selected as a monthly benefiting non-profit by store leadership. This toolkit equips you with everything you need to get the word out during your selected month.